The Spotted Deer or ‘Chital’ (sometimes spelled ‘Cheetal’) is a medium-sized deer found in India, Nepal, Bangladesh, Bhutan & Sri Lanka. 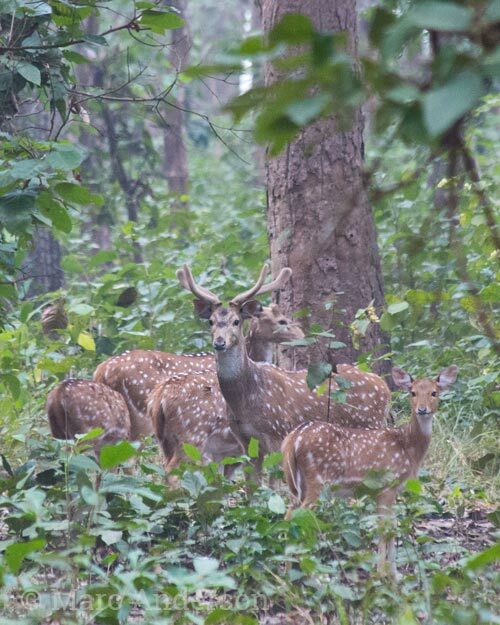 A abundant species throughout much of its range, herds of Chital are a common sight in many of the lowland forests and woodlands of the region. Chital are a particularly vocal species of deer, and their alarm calls are evocative sounds of the forests and tiger reserves of the Subcontinent. 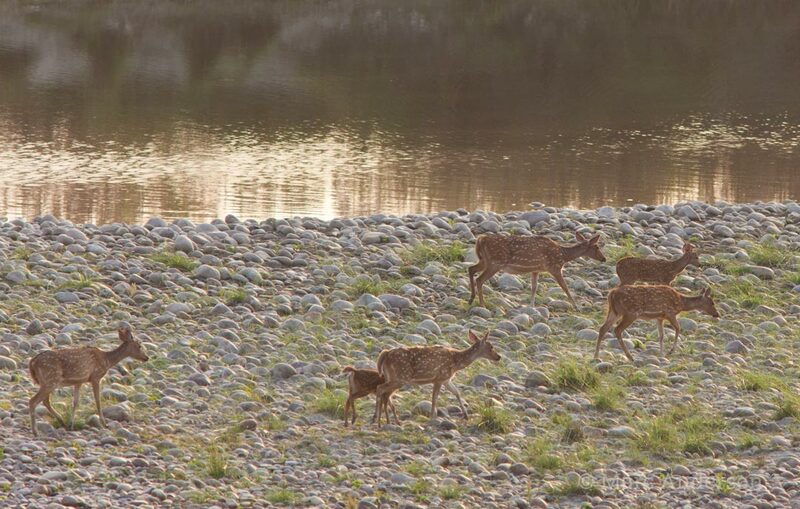 They are nervous creatures, it has been said that even a falling leaf can trigger a Chital’s alarm call! This alertness is not without good reason, as Chital are an important prey species for the Tiger (Panthera tigris) and Leopard (Panthera pardus). Chital alarm calls are often used as indicators to the presence of one of these predators, both by other animals and humans. Like many other deer species, male Chital also emit bellowing sounds and other growling noises to establish dominance during the rutting season. B16 This first sample is an example of the typical alarm call of the Spotted Deer. Recorded in Bardia National Park, Nepal. B18 In this recording, several Spotted Deer alarm calls can be heard in the distance. Red-whiskered Bulbul (Pycnonotus jocosus) & Common Kingfisher (Alcedo atthis) can also be heard. This cut was also recorded in Bardia National Park, Nepal.